Mobile ads are becoming more and more popular nowadays, almost half of the digital advertising budget of any advertising company invested in mobile ads, it’s about 38.4% of total ad spending, this number is expected to rise by 71% by 2020. Such a lucrative market also attracts many frauds or unethical cheatings. The Association of National Advertisers has predicted it in 2017, that, nonhuman traffic will contribute to around $6.5 billion loss globally. This is 10% less from the $7.2 billing as reported in last year studies. Even though app developers, marketers have made some efforts on fighting fraud. But Anti-fraud is an eternal topic, they need to learn more about how to deal with such performance market fraud issues. 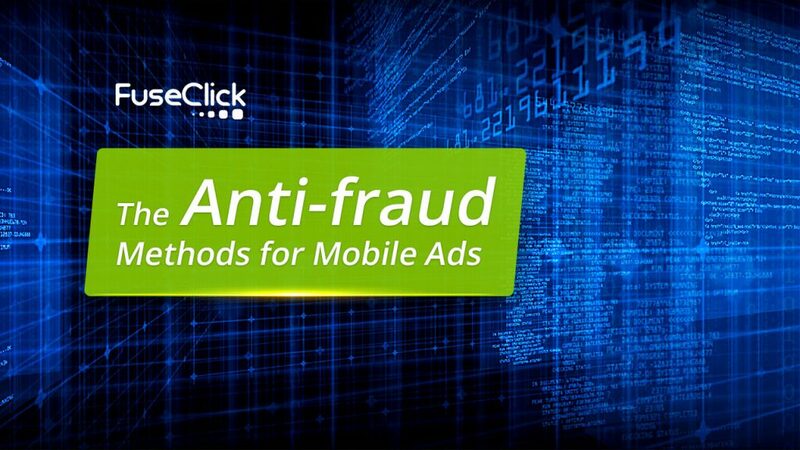 In this article, we will not only explore the mobile ad fraud problem itself, but also talk about the methods which app developers and marketers can use to escape its clutches. Bots have learned how to mimic the human behaviour. But any behaviour that is abnormally clustered by specific variables can be an indicator of fraud. Machine Learning can help eliminate mobile ad fraud. It can filter out those ordinary app promotion campaigns which should be quickly resolved. The red alert systems and automated blacklisting are another automated compliance check to reduce mobile ad fraud. When potentially fraudulent behaviour is detected, app developer and marketers can receive alerts instantly. Additionally, sources can be automatically blacklisted following an episode of abnormal behaviour. The most important thing is to prevent any suspicious activity before the install happens. It’s done by analysing clicks or impressions in real time. Despite the fact that the mobile advertising ecosystem is a complex and multifaceted landscape, third party verification is completely important. It’s a necessary step in bringing your fraud detection process to the next level and it can take many forms: from using external anon IP databases to partnering with companies specialized in the field of fraud detection. The main investment while analysing your App campaign’s data is human capital. You need to make sure that the data you get from fraud prevention tools is analysed efficiently and the insights are clearly communicated to all business stakeholders. Another goal is to create a communication process with traffic providers to make sure they are aligned with your goals and are aware of that their traffic is being closely monitored. You should spend more time on looking for suspicious publishers and investigate them. Also, look for unusual spikes in proxy metrics like CTR, CTIT, etc. In addition, The Association of National Advertisers also mentions that ‘Traffic sourcing is still the major risk factor for fraud.’After much research and deep understanding of this problem, FuseClick has released a new feature – Filter Junk Traffic, to help you to significantly reduce the probability of traffic fraud on the source. This feature enables you to set the time interval in Seconds/Minutes/Hours to detect and filter out junk traffic coming from same IP/Device within that time frame. FuseClick is a third-party performance marketing saas platform. We are committed to providing a stable and efficient tracking service for global mobile affiliate networks and performance marketing agencies. Our vision is simple: To save our clients money by providing the best quality service and reasonable pricing. Another Revenue and Payout Rule Setting Is Available! Merry Christmas! Meet Us at Ad:tech 2018 – India! What you can’t ignore in S2S Tracking?